Thanks for installing TallySheet. It is now time to get started. There are a few basic concepts to understand and you will be ready to go. We use the word Event to mean any type of sales event such as a Garage Sale, Bake Sale or Auction. To get started, create an event and name it. You can do this by touching the “+” button in the top right corner of the screen. Now that your event is created, the page below is the homepage for your event. Sellers are the people who are selling items at your sale. 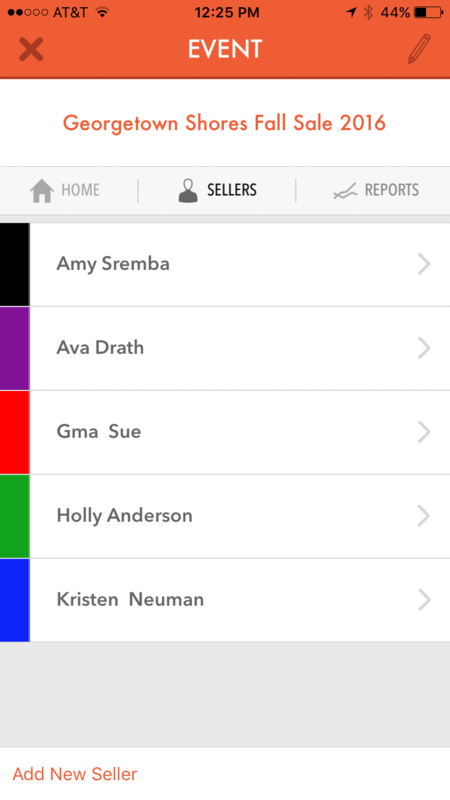 Add all of the sellers using the Sellers tab in the navigation bar or you can touch the “Add a New Seller” link at the bottom left of the Starter Cash or Checkout screens that list sellers. 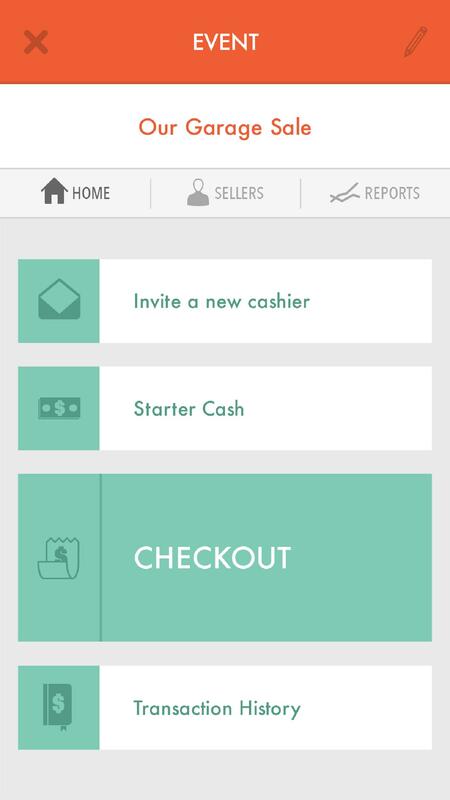 Invite a New Cashier: use this feature when you want to invite your friends to connect to this event. It will popup a dialog so you can send your friend an invite message. In that message, we will provide a link with an invite code. Your friend can use that code to connect to your event so they can help you as a cashier. Stater Cash: use this feature to help you keep track of the money that is put in the cashbox. This is the money you will use to make change at your event. 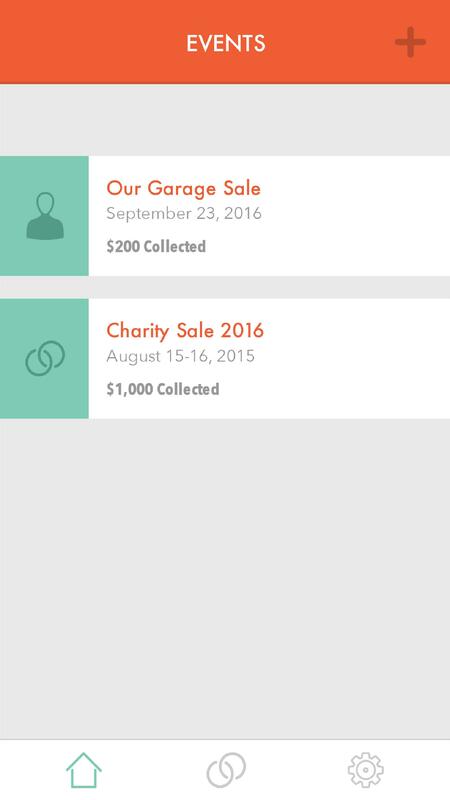 You can keep track starter cash contributions of each person in the event. Checkout: This is the main button that you press each time a customer is ready to checkout and pay your for the items they want. Learn more about the checkout process here. Transaction History: This screen allows you see the list of all transactions entered by any cashier. They are sorted in descending order so you can see the latest entered transactions at the top and then scroll down to see all of them. 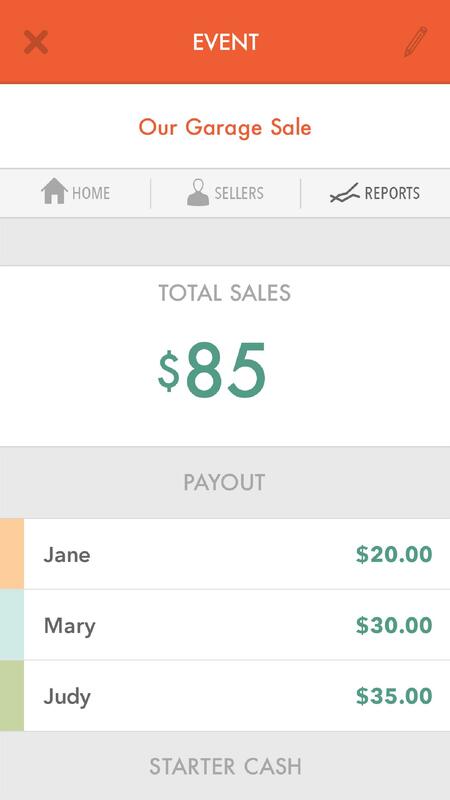 You can touch any transaction in the list to see the list of sellers and amounts that were recorded. Touch the Reports tab on the event navigation bar. Reports are the reason why you and your cashiers need to Checkout each customer. We generate the reports in real-time after each transaction is saved. Payout for each seller is calculated using the following formula: Seller Payout = Total Seller Sales + Total Seller Starter Cash.